Bio: Dr. Bob Heideman was named Senior Vice President – Chief Technology Officer at A. O. Smith in December 2010. He had served as Vice President of the Milwaukee-based research and engineering facility since February 2008. The Corporate Technology Center consists of technology platforms that concentrate on advanced concepts and emerging technologies supporting the long-term product development strategies of the company. Bob joined A. O. Smith Corporation in 1994 as a Project Engineer at Corporate Technology. In that role, he worked on a wide range of projects for a number of the company’s operating units. He returned to A. O. Smith in 2002 as a Section Manager, responsible for the Metallurgy and Prototyping Group. In 2005, he was promoted to Director-Materials and Processes at Corporate Technology. Bob holds a Ph.D. in Materials Engineering and a bachelor’s degree in Metallurgical Engineering from the University of Wisconsin-Madison and a master’s degree in Metallurgical Engineering from Purdue University, West Lafayette, Ind. Abstract: The seminar will share from the experiences of the A.O. Smith Corporation, a S&P 500 company and a world leading manufacturer of water heating and purification equipment. The world-wide increased need for hot and clean water will be discussed in the introduction along with a brief review of the company’s historic evolution from a Milwaukee, WI based diversified manufacturer, to a specialized global water technology/manufacturing company. Advanced technologies developed for energy efficiency and for meeting the specifics of the diverse major regions around the world will be exemplified. The final portion of the seminar will emphasize the sensors and electronic controls being developed at the A.O. Smith Corporate Technology Center in Milwaukee to enhance the efficiency and performance of water heaters and purifiers. In addition, the use of water heaters, including CHP devices, to store energy and balance the electric grid will be discussed. On October 19 and 20, 2017 the Power and Energy Institute of Kentucky (PEIK) will be represented at the Kentucky Governor’s Conference on Energy and the Environment at the Lexington Convention Center by Dr. Dan M. Ionel, Professor of Electrical Engineering and L. Stanley Pigman Chair in Power, and the current Director of PEIK, Dr. Donald Colliver, Professor of Biosystems and Agricultural Engineering, and Director of KIAC, and Jason Souders, PEIK/KIAC/FEEDER Coordinator. PEIK will have an exhibition booth providing information on the program’s education, outreach and research activities and facilitating engaging discussions with attendees, current and prospective supporters. Paula M. Guletsky, P.E., Vice President, Sargent & Lundy L.L.C. 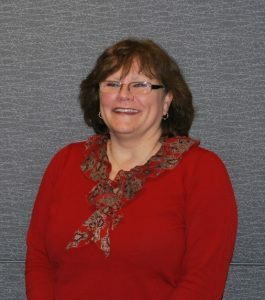 Bio: Ms. Guletsky is a Vice President and Project Director at Sargent & Lundy L.L.C. which is one of the leading architect engineering firms in the country. Sargent & Lundy is a 126 year old privately held business that specializes in the design of power generation and transmission systems. Ms. Guletsky is a chemical engineering graduate from the University of Kentucky. She has served in the power industry for 35 years. Her areas of expertise include: air pollution control, project management and strategic business planning. Abstract: The next 25 years will see a radical change in the energy market across the globe. New power demand in developing countries, natural gas reserve capacity, and developments in renewable energy and storage will all contribute to the changes ahead. Join us as we review the near and long term projections for electricity growth and discuss how the U.S. is adapting to this changing market. 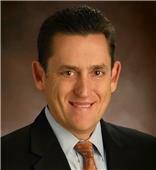 Bio: Mr.Lonnie Bellar is the Senior Vice President of Operations for LG&E and KU. He is responsible for all operations areas including generation, energy supply and analysis, electric distribution and transmission, gas distribution and storage, and customer service. Mr. Bellar joined Kentucky Utilities in 1987 as an electrical engineer and worked in technical and management roles, including more recently: Director of Generation Services, General Manager of LG&E’s Cane Run and Ohio Falls generating stations, Director of Financial Planning and Controlling, Director of Transmission, Vice President of State Regulation and Rates, and Vice President of Gas Distribution. Mr. Bellar participated in a dual-degree program receiving a bachelor’s degree in engineering arts from Georgetown College and a bachelor’s degree in electrical engineering from the University of Kentucky. Abstract: The seminar will include an overview of the resources, history, and activities of LG&E/KU, which provides service to 1.3 million customers in Kentucky and Virginia. The presentation of the utility’s capabilities will cover well established facilities as well as recent advancements in the automation of electric power distribution. One section will discuss the benefits of solar power and will introduce the main technical specifications of Kentucky’s largest solar PV facility recently developed by LG&E/KU on its E. W. Brown site. The final part of the presentation will outline opportunities for students to become involved in the LG&E/KU engineering co-op program and potential engineering career paths. Topics: Industry standards, installation codes, and enforcement will be covered. Bio: Alan Manche, an employee at Schneider Electric for 20 years, is responsible for leading company activities relative to product standards, installation codes, and enforcement. His background in product design, certification, and industry standards afforded him many hours in Schneider Electric testing labs reviewing product performance characteristics, and conformity assessment. He has been involved in the National Fire Protection Association, National Electric Manufacturers Association, National Electric Code, and Underwriters Laboratories. He holds a BS in Electrical Engineering and an MBA. Outline: The 2017 National Electric Code workshop will outline updates to the national electric code for 2017. The update process included 4002 public inputs, 1513 public comments, 5 new articles, 19 code making panels, NFPA Annual Meeting in June of 2016, and Issuance by Standards Council, Effective Date, and Available for Adoption in August 2016. For more information contact Jason Souders. Lunch will be provided immediately following. The morning session will include national and regional leaders, opening remarks by Secretary of Energy Snavely, keynote speeches by Directors from technology leading companies, ANSYS and RTDS, unveiling of the PEIK Partner and Sponsor Plaque with Dean Holloway, PEIK Board, industrial and utility key representatives. The lunch session will feature the official inauguration of the SPARK computational lab with Philanthropist L. Stanley Pigman and L. Stanley Pigman Chair in Power, Dr. Dan M. Ionel. Greg Harper, President, Gas Pipelines & Processing, Enbridge, INC.
Bio: Mr. Harper, appointed President of Gas Pipelines and Processing on Jan. 30, 2014, has spent his entire career in the energy sector. As the head of Enbridge’s natural gas business, Mr. Harper brings deep and proven operational, commercial, and developmental experience, thanks to an extensive background in the natural gas industry. Based in Houston, Mr. Harper joined Enbridge from Southwest Energy, where he served as Senior Vice President, Midstream, and also held senior leadership positions with CenterPoint Energy, Spectra Energy and Duke Energy. In 2013, he served as Chairman of the Board of the Interstate Natural Gas Association of America (INGAA). A native of Owensboro, Ky., Mr. Harper is actively involved in community service, including educational, industry, professional, and arts organizations; he serves on the Board of the University of Houston’s Bauer School of Business and is also immediate past Chairman of the board of directors of Theatre Under the Stars. He holds a Bachelor of Science (B.Sc.) degree in mechanical engineering from the University of Kentucky, as well as a Masters of Business Administration (MBA) degree from the University of Houston. Bio: Dr. Greg Heins is currently the Head of Research and Development for Regal Beloit Corporation, Asia Pacific. He received the B.Eng. (Hons.) degree in mechanical engineering and the University Medal from the University of New South Wales, Sydney, Australia, in 2000 and the Ph.D. degree in electrical engineering from Charles Darwin University, Darwin, Australia, in 2008. Earlier in his career he worked as a Manufacturing Engineer with Robert Bosch Australia and as faculty at Charles Darwin University. In 2011 he was awarded an Australian Learning and Teaching Citation for Outstanding Contributions to Student Learning. He is the holder of six patents with many other applications pending. In 2015 Glasgow EPB was awarded a Smart Energy Technology Grant by TVA, which has Billy and his team installing the latest array of technology available today in the hope of proving that his “infotricity” theories will indeed demonstrate that daily energy takings can be reshaped to match the output of the most efficient generation sources. Billy has provided expert testimony before the Federal Communications Commission, the U.S. House of Representatives Telecommunications Subcommittee, the United States Senate Communications Subcommittee, the Commerce Department and others on the subjects of municipal ownership of broadband communications systems, competition in telecommunications services, and the concept of combining electric power and broadband to produce “infotricity”. Professor Boldea published extensively in linear and rotary motion electric machines design and controls, more than 200 papers, including 6 that received IEEE best paper awards, and 18 books in USA and the United Kingdom. He has been consulting, lecturing, giving keynote addresses, and holding intensive courses in USA, Europe and Asia for the last 25 years. He has been an IEEE-IAS Distinguished Lecturer since 2008 and lectured in this capacity in USA, Denmark, Italy, and Brazil. He is the recipient of the IEEE 2015 Nikola Tesla Award. Biography: Tom FitzGerald is an environmental attorney and is Director of the Kentucky Resources Council, a nonprofit organization focused on Kentucky’s environment and natural resources. As Director of the KRC, he informs the public about environmental issues and lobbies the Kentucky legislature. He has won several awards, including the Heinz award, the Kentucky Environmental Quality Commission â€œLifetime of Service Award, the Biological Diversity Protection Award, and the “Cleaning Air Award” from the American Lung Association. In 2014 he was appointed by President Obama to serve on ORSANCO, the commission that establishes water quality standards for the Ohio River. He is an alumnus of the UK College of Law.